Summary: Eight fifth graders tell about the first half of the year through journal entries to their teacher, Ms Graham. There is friendship drama, a budding romance, a boy who is threatened with homelessness, and a girl from Mexico who worries about being deported. Some of the kids write letters for their journal entries, while one writes all his in the form of a screenplay, and another draws his as wordless comics. 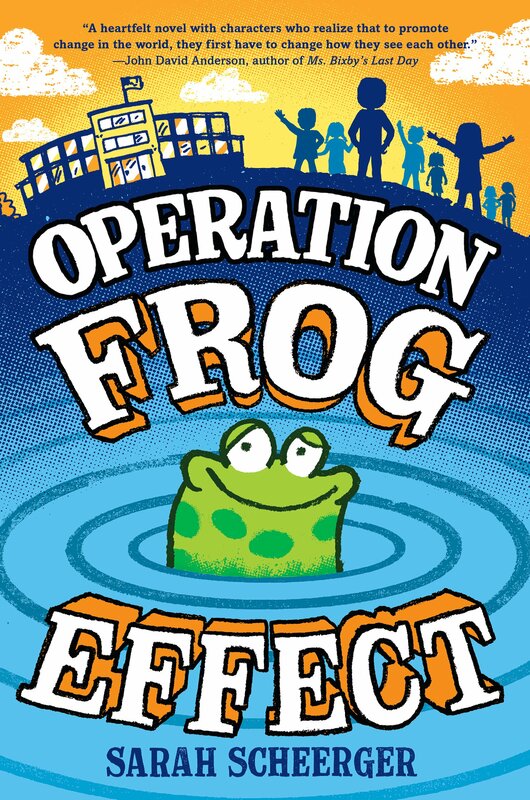 Their initial connection is through the class pet, Kermit the frog, but soon they are bonding through the social action projects their teacher initiates. When one of those projects leads four of the kids to do something dangerous, Ms. Graham is the one who gets in trouble and is threatened with losing her job. The kids put their social action lessons to work to find a way to help their teacher and make a difference in their community, resulting in a deepening of friendships and a happy ending for all. 320 pages; grades 3-7. Pros: Fans of the Mr. Terupt books or Fish In a Tree will enjoy this uplifting school story with multiple perspectives and writing types. Inspired readers can find resources at the end to help them learn more about how they can make a difference. Cons: Sadly, there doesn’t seem to be time in real life to do all the cool community-building activities and service projects that Ms. Graham’s class gets to do. After the kids’ victory, a school board member comments, “I hope you all stay engaged for our next topic, which has to do with standardized testing.” Now, that’s realistic.